The Fish River Canyon, Africa’s answer to the Grand Canyon, is one of the best places in Namibia to stand in awe of the raw power of nature. Measuring 27 kilometres wide, 550 metres deep and 160 kilometres long, it’s the largest canyon on the continent and one of Namibia’s greatest geological wonders. Tectonic shifting split Gondwanaland centuries ago, which can be seen in the shales, rocky outcrops, quartz formations, dolerite, granite and deep ravines that cut through the earth. Through the gradual process of erosion, the Fish River Canyon now swells with water during the summer months (November to March), creating deep pools of crystal water just waiting to be explored. 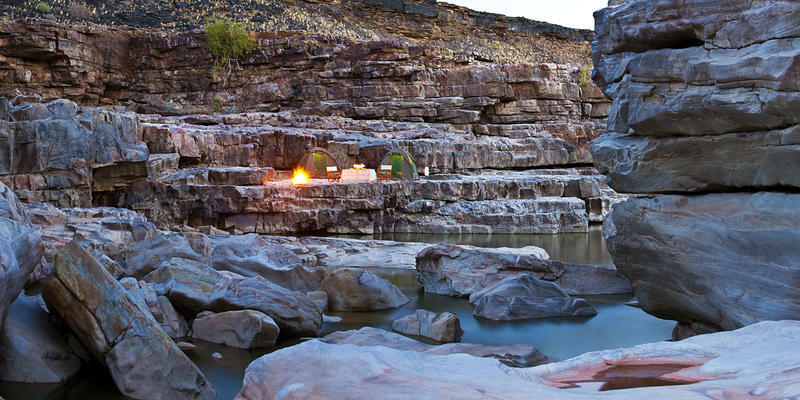 Perched on the edge of the formidable canyon is Fish River Lodge, an incredibly stunning retreat with expansive views that make you feel as if you’re on the edge of the world. If you’re an active traveller, this lodge should be on your adventure-travel to-do list. 20 chalets rise above the rim of the canyon, offering striking sunsets and sunrises. The earthy feel to Fish River Lodge is reflected in it’s design, a contemporary oasis in a landscape that’s 500 000 millions years old. 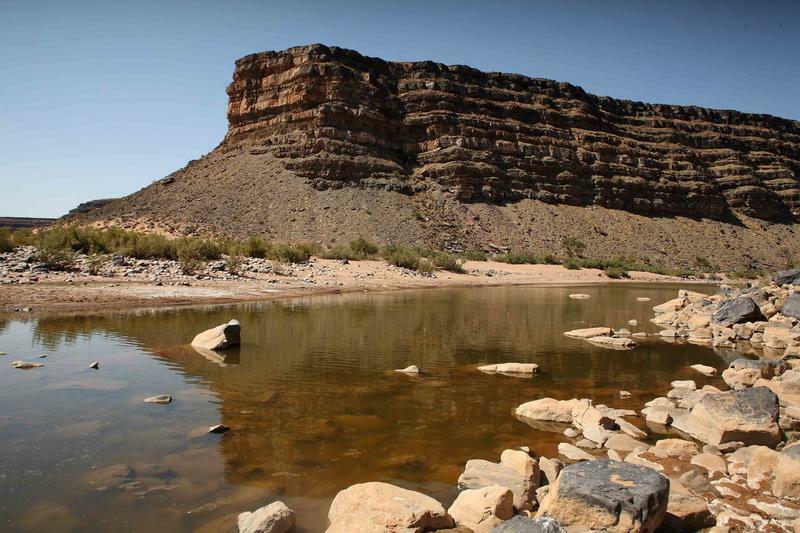 Testament to this is the archeological discoveries that include Stone Age tools, rock engravings (detailing wildlife no longer found in the area), hunting blinds, graves, kraals and farmsteads that paint the Fish River Canyon’s extensive history. Although the surrounds are undeveloped and remote, the ability for nature to survive harsh environmental conditions can be seen in the diversity of flora in the region. 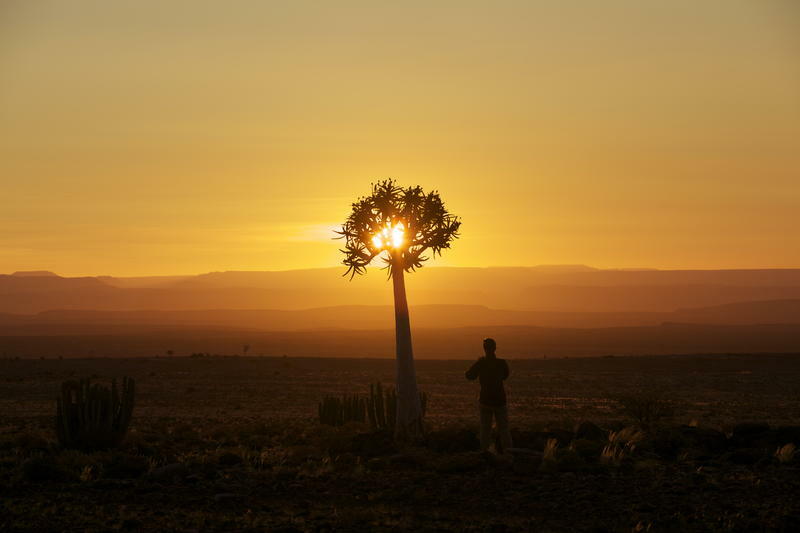 There are 1600 plant species in this Karoo biome. 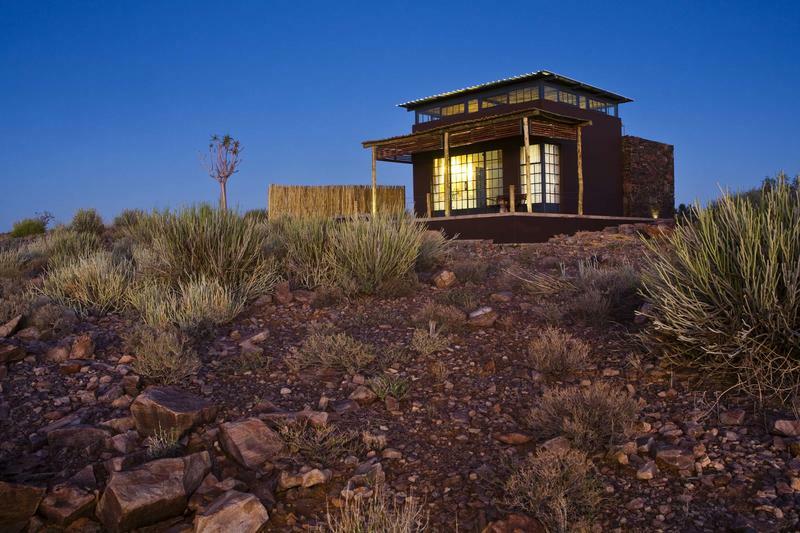 Fish River Lodge is dedicated to ecotourism and the lodge itself was designed with this in mind. While extremely comfortable, the concept is about energy-saving and reducing waste. The best way to experience the power of this surreal landscape is on guided hikes through the canyon. You have the option of taking a canyon tour with a fully-trained guide for a small party where you’ll traverse 90 kms of the canyon. Cycling on a fat bike (off road) is also a thrilling experience. Morning and sundowner tours are available where you’ll be able to push yourself before the serenity of the area finally overtakes you. Alternatively you can 4x4 into the heart of the canyon and refresh yourself in the deep rock pools before a delicious lunch. If it’s relaxation you’re after, Fish River Lodge offers this too. Treat yourself to a spa treatment that you can appreciate in the privacy of your room, relax by the rim flow pool, enjoy scenic sundowners along the canyon rim or simply meditate on the outdoor deck or perfect your yoga. Fish River Lodge is not so much accommodation as it is a retreat from the busyness of everyday life. Favouring a holistic approach to a traditional getaway, Fish River Lodge sets the stage for reconnecting with nature and essentially, with oneself. Wildlife highlights: Wildlife is scarce so Fish River Lodge is more about the experience than game viewing. However, in addition to a variety of antelope and baboons, leopard and caracal have been spotted. The rare and endemic Hartmann’s zebra also occupies the area. Cape clawless otters can also be seen frolicking in the rock pools at the bottom of the canyon. Best time to go: This destination is wonderful all year round. However, summer can be extremely hot (November-March). Winters are milder and often more pleasant (June to October). Please note that no hiking takes place between October and April for safety reasons. Type of traveller: Active travellers, holistically-minded visitors, honeymooners and solo travellers looking for peace and quiet but with the option of joining in on activities. Amazing lodge! Do not hesitate! “One of our best experience in Namibia. Secluded lodge (careful to the 19km off road to reach the lodge), with 15 rooms with amazing view on the canyon and pool. Very nice attention from the team with a welcome drink, tea time, etc.